Hitler’s propaganda stressed the importance of keeping fit and abstaining from drink and tobacco to keep the Aryan race strong and pure. But in reality his soldiers were taking addictive and damaging chemicals to make them fight longer and more fiercely. A study of medicines used by the Third Reich exposes how Nazi doctors and officers issued recruits with pills to help them fight longer and without rest. The German army’s drug of choice as it overran Poland, Holland, Belgium and France was Pervitin – pills made from methamphetamine, commonly known today as crystal meth. Hitler’s propaganda stressed the importance of keeping fit and abstaining from drink and tobacco to keep the Aryan race strong and pure. But in reality his soldiers were taking addictive and damaging chemicals to make them fight longer and more fiercely. A study of medicines used by the Third Reich exposes how Nazi doctors and officers issued recruits with pills to help them fight longer and without rest. The German army’s drug of choice as it overran Poland, Holland, Belgium and France was Pervitin – pills made from methamphetamine, commonly known today as crystal meth. By the time the invasion of the Soviet Union was launched in 1941, hundreds of thousands of soldiers were doped up on it. 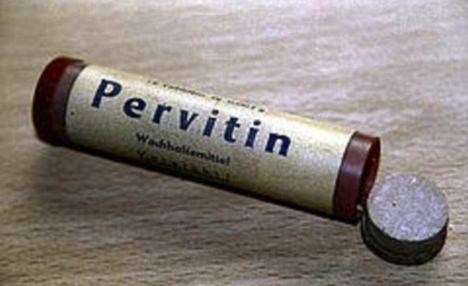 Records of the Wehrmacht, the German army, show that some 200 million Pervitin pills were doled out to the troops between 1939 and 1945. Research by the German Doctors’ Association also showed the Nazis developed a cocaine-based stimulant for its front-line fighters that was tested on concentration camp inmates. ‘It was Hitler’s last secret weapon to win a war he had already lost long ago,’ said criminologist Wolf Kemper, author of a German language book on the Third Reich’s use of drugs called Nazis On Speed. The drug, codenamed D-IX, was tested at the Sachsenhausen concentration camp north of Berlin, where prisoners loaded with 45lb packs were reported to have marched 70 miles without rest. The plan was to give all soldiers in the crumbling Reich the wonder drug – but the invasion of Normandy in June 1944, coupled with crippling Allied bombing, scotched the scheme. Medical authorities say the downside of the plan was that many soldiers became helplessly addicted to drugs and were of no use in any theatre of war. Otto Ranke, a military doctor and director of the Institute for General and Defence Physiology at Berlin’s Academy of Military Medicine, was behind the Pervitin scheme. He found that the drug gave users heightened self-confidence and self-awareness. 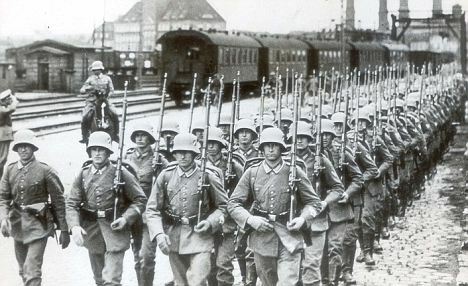 On the eastern front, where the fighting was the most savage of the war, soldiers used it in massive quantities against an enemy that showed no mercy. In January 1942, one group of 500 troops surrounded by the Red Army were attempting to escape in temperatures of minus 30 Degrees C.
‘I decided to give them Pervitin as they began to lie down in the snow wanting to die,’ wrote the medical officer for the unit. ‘After half an hour the men began spontaneously reporting that they felt better. Concentration camp prisoners were also the victims of terrible experiments overseen by German doctors aimed at making the war less risky for their own troops. 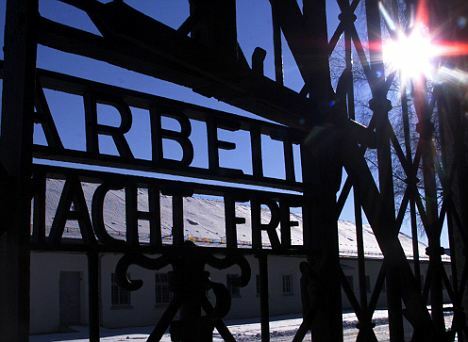 At Dachau hundreds died in vats of ice water as physicians sought to find a way to better insulate the flying suits of Luftwaffe pilots brought down in the sea. 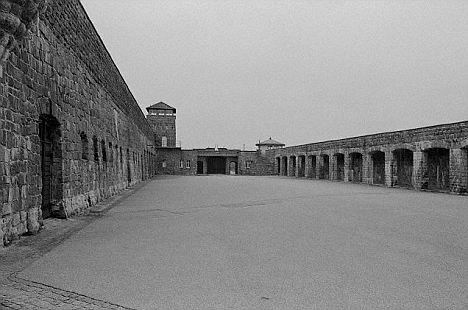 And at Mauthausen in Austria inmates suffered horrific chemical burns as the doctors sought cures for phosphorous shell injuries. Physician’s group president Jörg-Dietrich Hoppe said: ‘I will be the last president of this group who lived through this time.